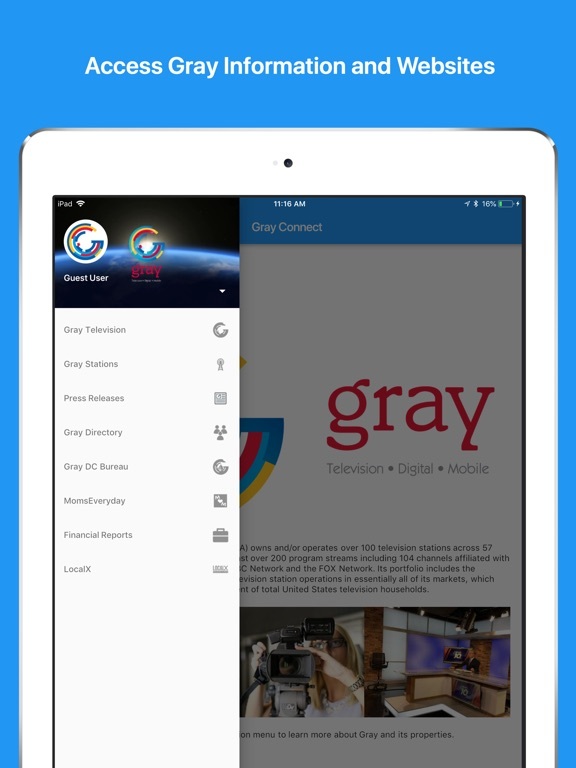 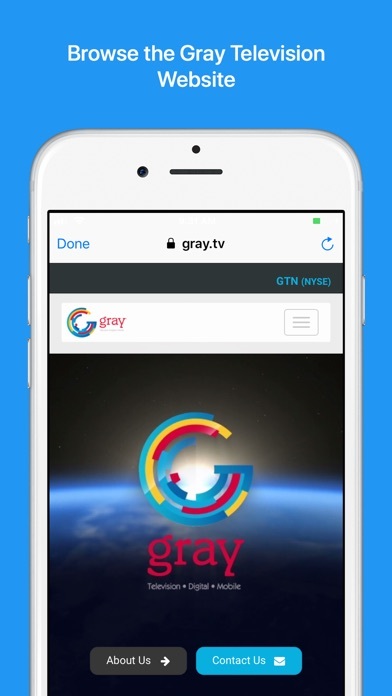 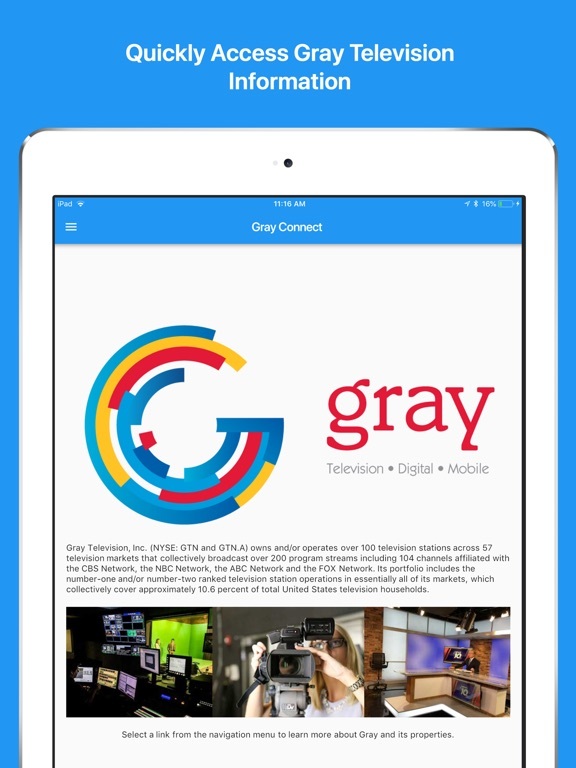 Gray Television is a television broadcast company headquartered in Atlanta, Georgia, that owns and operates television stations and leading digital assets in markets throughout the United States. 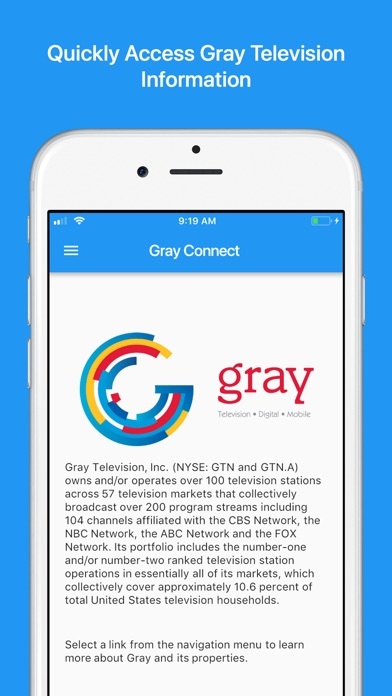 - View Gray Television corporate information such as press releases, financial reports and more. 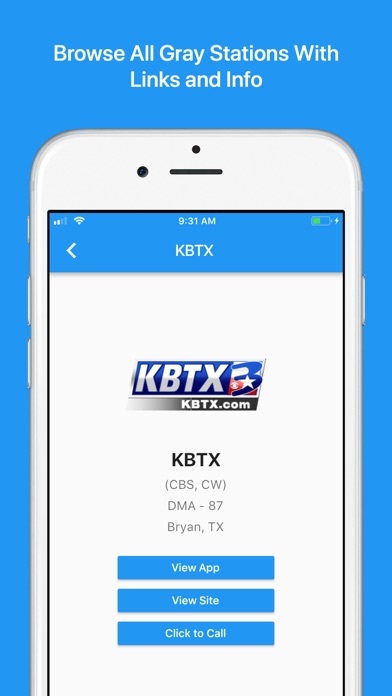 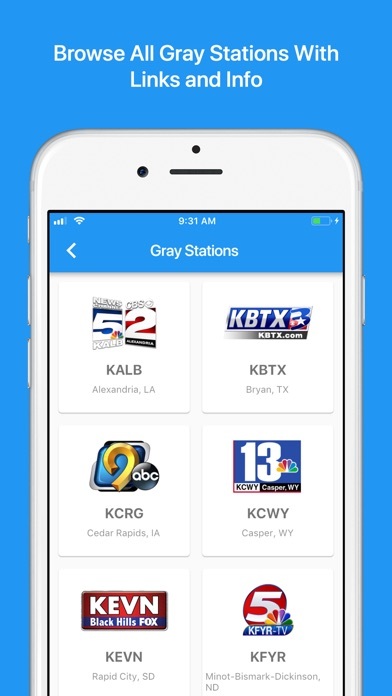 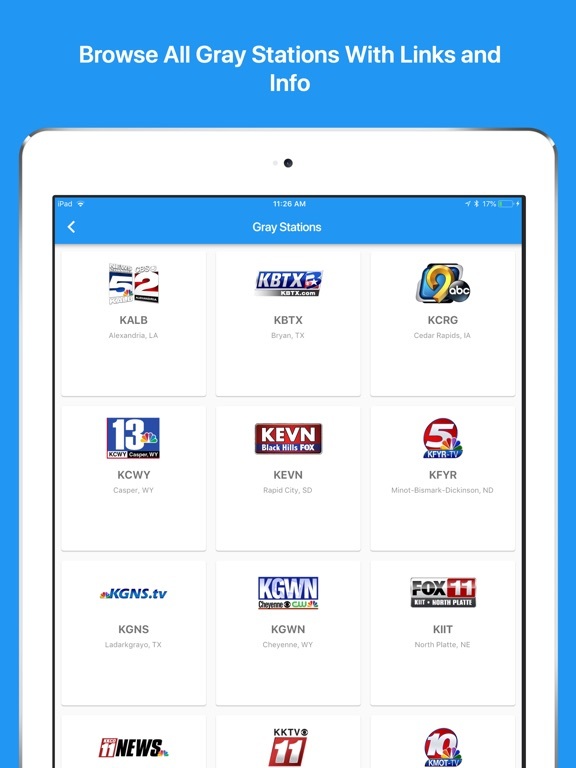 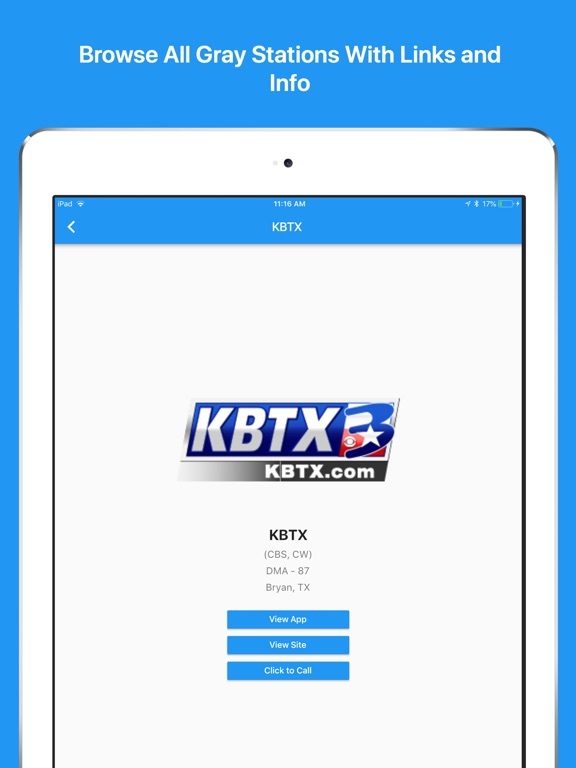 - Browse all Gray Television stations with contact information, websites and apps. 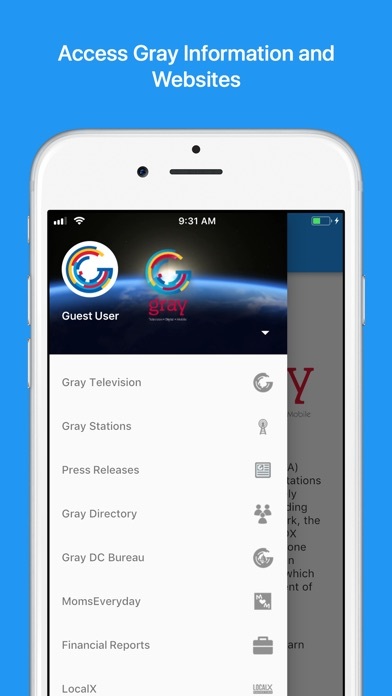 - Quickly access information regarding Gray DC Bureau, MomsEveryday and LocalX Marketing. 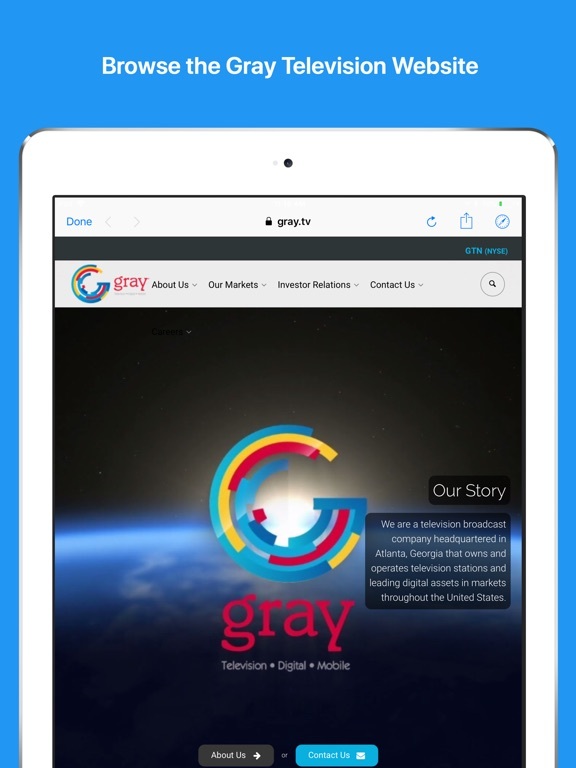 Redesigned to improve performance and features.